Before entering cinemas to see ‘The Descendants’ there should be a wooden sign set up that says “Beware the awards hype for there be a film awaiting ye that is sure to disappoint”. The sign would be the modern equivalent of signs that used to warn pirates of deadly mermaids or the early onset of herpes. Matt King (George Clooney) is a wealthy land owner and lawyer who was born and raised in Hawaii. After his wife Elizabeth (Patricia Hastie) is in a boating accident, she is put on life support and Matt must make a tough decision about her future. He travels with his daughter’s Alexandra (Shailene Woodley) and Scottie (Amara Miller) around the islands of Hawaii to inform family and friends of his decision. 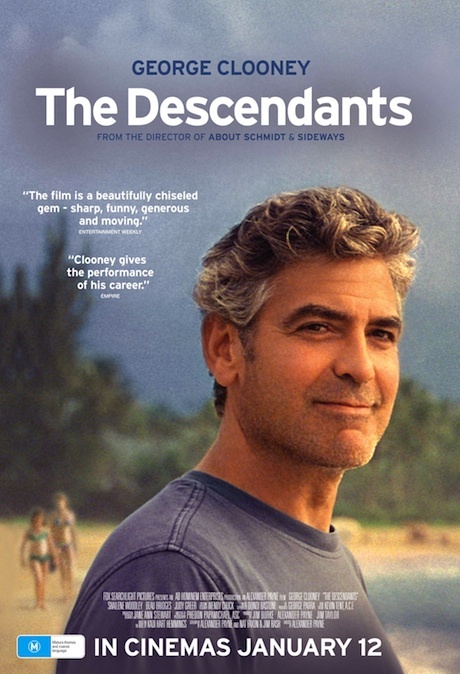 Director Alexander Payne has a good track record with ‘Election’ and ‘About Schmidt’ but ‘The Descendants’ doesn’t live up to any of his previous work. Despite a few good performances, there is very little emotion from a film that deals with the themes of life, death and family. A majority of the characters are unlikable and it’s hard to relate to their plight when you’re thinking that most of them deserve to be at the pit of a volcano. The locations in Hawaii are beautiful and the landscapes service the plot well as a metaphor for the fractured family. No doubt the awards hype around ‘the Descendants’ will get people into cinemas but it doesn’t warrant the attention considering Payne’s previous work and Clooney has put in much better performances. ‘The Descendants’ is now showing. Woodley was decent but I didn’t think she was anything to write home about; the film did seem to enjoy focusing on her body, but perhaps this was just to emphasize her ‘troubled teen’ status. Also, what was up with the cinematography? There were some very bizarre, off-putting skewed close-ups that threw me out of the film, and the camera seemed to take off on journeys for no reason. All in all, it was decent but nothing out of the ordinary for ‘fish out of water father’ stories, which seem to come up more and more. Quite a bit of this film rang hollow with me. After an opening voiceover bemoaning the way mainlanders think Hawaiians can’t have real problems, one of the protagonist’s main conflicts is the choice between continuing to own a massive section of pristine Hawaiian property or selling it and making millions. If only every death in the family could be accompanied by such hardship. The family’s grieving process includes jetting between islands to surprise each other, having lunch at a private beachside club and countless walks on sunny beaches. The point, of course, is that emotional hardship still exists in such circumstances. But the film looks too much like a tourist brochure to make that point effectively. One specific annoyance is the extremely unrealistic character Sid, Alexandra’s “friend” who accompanies the family on their tour of tears. Apart from one scene in which he reveals his own perspective on the situation, his presence is utterly useless at best and thoroughly irritating at worst. Not that teenage boys can’t be like that – I was one once – but no one in King’s situation would tolerate such a toxic presence much less pay for it to accompany him around Hawaii. It was when I realized that Sid made no sense that I realized I had my doubts about this film. It did have its redeeming moments, however – King’s decision on the land sale is particularly poignant. Woodley and Clooney put in good performances (although I was also distracted by her swimwear), and the ubiquitous Judy Greer shows more versatility than usual in her brief role. And the music, more than the story, captures the theme of a tropical island where all is not well. I agree, it would have been much better without the hype. My father was in the same situation as Liz, comatose, but for 4 1/2 years after a car wreck. I was 16 at the time of the wreck. I know what this family is going through, and this movie struck me as very real. Yes, Hollywood did have to add the distraction about the land to what is essentially a family drama, which is too bad. As for Sid, I wasn’t clear on his role in the movie, either. Comic relief? Competition for Alexandra’s attention? Both? I’m not sure. 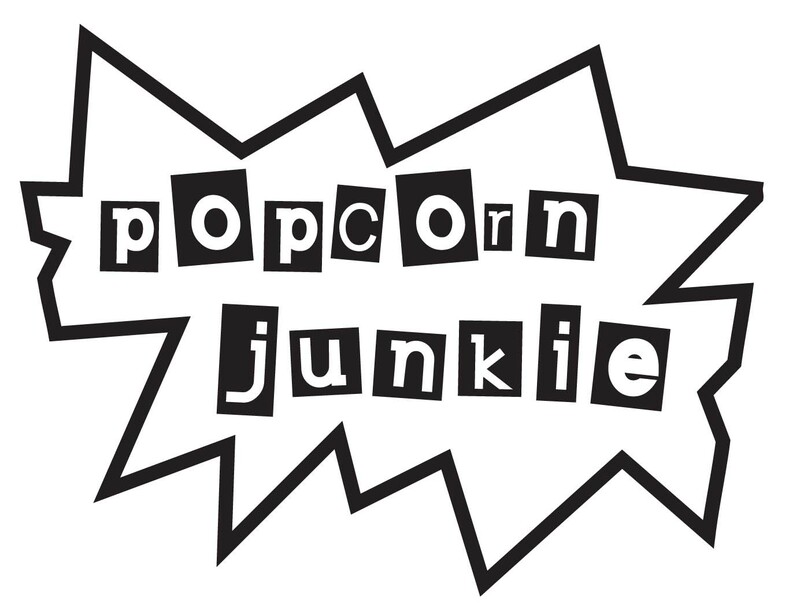 But the movie elicited real emotions from me, which is what I ask from a movie like this. Please, if you are going to present your opinions as authoritative, do it with proper and correct writing. Thanks for reading the review and sharing your story. Glad the film connected with you. Really appreciate the feedback on the grammar. As a writer I am always trying to improve and this helps greatly. Just watched this movie tonight. George Clooney was very over-hyped here. He was either running somewhere, very fast, or showing us his “angst” face. Basically this was a story about a marriage breaking up, with one partner on life support. It was too long. Did there really have to be so many close ups of the wife/mom’s almost dead face? I thought the Alex part was well cast, and Scotty, too. Really, the kids were better than the adults. And come on, the mom was having an affair with Shaggy, (from Scooby Doo) ? That left me with no credibility for Brian Speer. After I finished it I realized this was a film for which Mr. Clooney had been nominated for Academy Awards. I never would have voted for him in this film. I didn’t hate the film, but I didn’t think the film did a very good job with this subject. Where was the humor?? I love subtlety and dark humor, but there was none here. I didn’t even smirk once. Surprising considering most reviews. The acting of the daughters was the only bright spot of this dismally long movie. The only time I felt anything at all was when the older daughter finds out in the pool her mom will die, and later when the younger daughter finds out. But yes, way way over hyped. Glad to see others who didn’t jump on the bandwagon to praise this flat turd.